NanoTechnology is the study of very small things, dealing with materials 100 nano-meters or smaller in at least one dimension. One nano-meter (nm) is one billionth of a meter. By comparison, a human hair is approximately 80,000 nm wide, far beyond the nano range. However, if nano-materials were just small versions of big things, they wouldn’t be particularly interesting. The exciting applications come because materials sometimes act in a fundamentally different way when their size shrinks to a minimum. The scientific concept of nano-technology was born in 1959 in a famous presentation by Richard Feynman, were he described putting the Encyclopedia Britannica on the head of a pin, or making computers the size of a building fit in your pocket. By engineering at the atomic level, we will discover new ways to improve our lives in ways never dreamed possible.” He could not have been more prescient. The term “nano-technology” was first used by K. Eric Drexler in his seminal 1986 book Engines of Creation: The Coming Era of NanoTechnology. Since its publication, there has been unceasing development of medical and cosmetic applications, and wide-ranging academic research. Cosmetic applications have concentrated on sunscreens, hair treatment and anti-aging products. 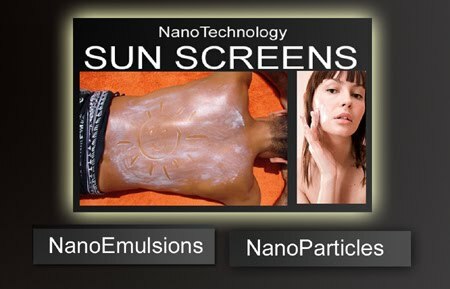 Nano-sized zinc oxide and titanium dioxide for sunscreens (think of a life guard with a white nose) were the first, and still most important, applications of nano-technology in personal care. By reducing the “particle size” below one fourth the wavelength of light, zinc oxide and titanium dioxide become invisible while completely maintaining their sun protective properties. If anything, the smaller particle size enhances protection by fitting into small irregularities in the skin. 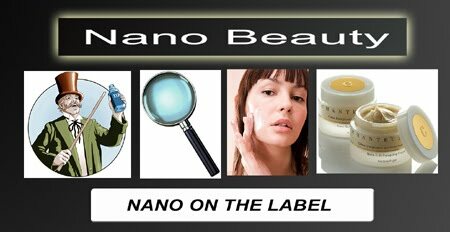 NanoEmulsions are used to enhance the delivery of actives ingredients and have even been claimed to have anti-microbial properties. In the beauty industry, P&G, L’Oreal and Henkle lead the pack in nano-related patents. 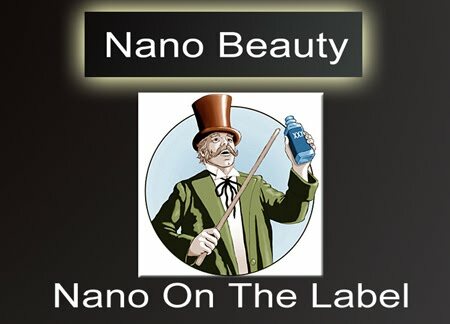 Products are on the market from every major brand, most often to aid in the delivery of active ingredients, but while the many majors seem relatively subdued in publicizing the nano aspects of their products, NanoWorks by Pureology, a leading US salon hair care line puts the technology front and center. It is well-known that surface chemistry of materials such as these can affect toxicity. Fortunately, the surface chemistry can be engineered to enhance safety. So far, the FDA has found no evidence of NanoParticles in beauty products being a health problem, but on the flip side, there is little conclusive proof that they are safe. Of course, brand owners are still responsible for marketing safe products, regardless of specific regulations. Nanotechnology is a broad field with many potential applications in beauty. With so much emphasis on skin and hair products and a general public attracted to new “technology” there is no doubt in coming years many will be attracted by “Nano” on the label. What protein technology was to the 20th century... nano tecnology is to the 21st century ! I recently visited our local CVS drug store around the corner from my casa and to my disappointment but not surprise they had a 8 feet long glass case display under lock and key with every professional salon only brand and at discount prices to boot. To buy them you must locate a store manager to unlock the display. While waiting for my wife I observed a store cosmetic manager open the display case for a attractive middle aged women. She reached for a $34 Hair Treatment and told the store manager that it was less expensive then at the salon and that the salon did not always have it in stock. There where also many well known celebrity hair stylist's products on display. It looks like every hair stylist that has touched a "movie star or celebrity" or appeared on TV today has their own brand and selling them any where they can....good for them. But when it comes to high profile professional brands that claim to only sell their products to salons that’s another thing all together. Some call this practice Diversion; another word would be "Deception". So I decided to take a closer look at this deceptive practice and what could be done to correct it. A few days later I was told that if you called the Paul Mitchell Company for example and told them the store location they will send someone out to buy all their products to remove them from the store. 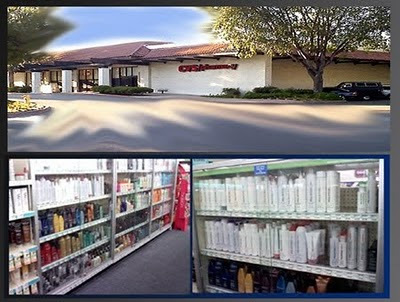 After they will trace them back to the distributor or sadly in some cases the salon that sold them to the drug store. This however was not easy and I've had to jump through some loops to located the JPMS diversion police department ;-) Using the Inter-galactic Goggle search I located their universal-web site and the PM Diversion Hot Line number. I left a message and. to my surprise I received a message from the Vicki, the PM Diversion Chief of Police. She took the information and arranged for a PM representative to purchase the inventory "ASAP". I will follow up and keep you posted as this cosmic drama unfolds. This is how "we professionals" along with truly professional only companies like Paul Mitchell can help protect our business interests When you see your professional only salon products in drug stores call the company and demand they stand behind their word......be pro-active. Naturally curly hair is truly a thing of beauty, and as such, it shouldn't be fought but embraced. Sure, there will be days when it feels like the bane of your existence, and straightening it on those days is always an option - but ultimately, learning to love your wild mane is the way to go. While you may covet the simplicity of straight hair, your straight-haired friends are probably envying the volume your hair possesses naturally. 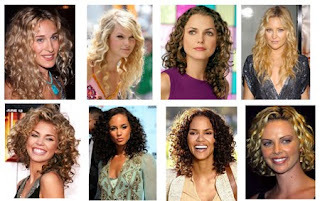 Here are a few stars and celebrities who have chosen to flaunt their beautiful curly hair. 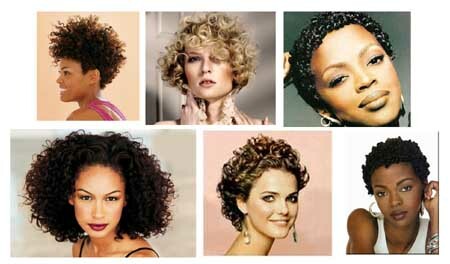 When it comes to hair texture and its natural beauty with few exceptions, Mother Nature knows best. All it takes is a custom “shape-to-fit style cut and a little TLC” to unlock its natural beauty and style potential for a style that suits you perfectly from all points of view, holds it shape as it grows and styles itself.